Gout was once known as "the disease of kings" because it was usually wealthy men who consumed a diet in rich foods that had it. 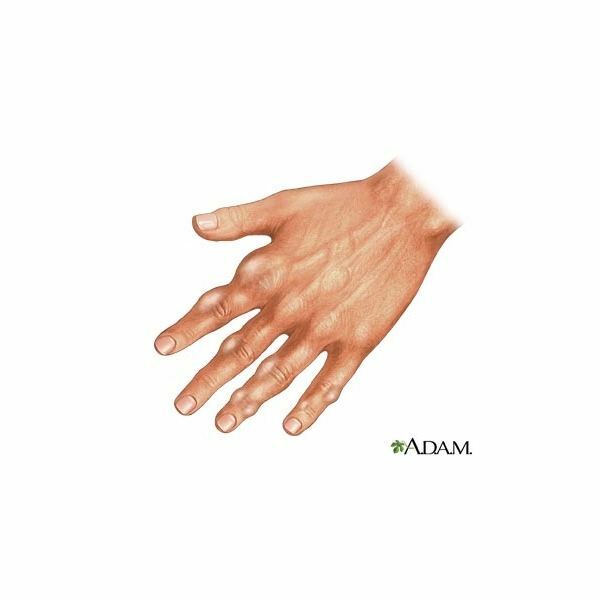 Learn what causes gout and what natural remedies for gout relief work. 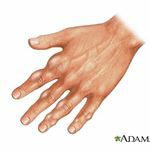 Gout, a common type of arthritis, is caused by high levels of uric acid in joints and connective tissues. It affects men more frequently than women and can occur at any age but is most commonly seen in people over the age of fifty. Most people will experience more than one attack of gout and, because uric acid levels are high, are also at risk for developing kidney stones. Some causes of gout are obesity and a high intake of refined carbohydrates, high-purine foods, fats, and alcohol. Avoid foods high in purine levels. Purines form uric acid when broken down. These foods include organ meats, meat, shellfish, sardines, mackerel, herring, anchovies, and brewers yeast. Foods with moderate levels of purine such as dried legumes, poultry, fish, and mushrooms should also be avoided or limited. Eliminate alcohol. Alcohol increases uric acid by speeding up purine breakdown and reduces uric acid excretion. Drink at least 48 ounces of water daily to promote uric acid excretion. Limit simple sugars, which increase uric acid production, such as refined sugar, fructose, syrups, and honey. Saturated fats decrease the excretion of uric acid and should also be limited. Quercetin, a flavonoid found in fruits and vegetables, stops uric acid production. For gout relief, a supplementation, along with eating fruits and vegetables, is recommended. Apples and bananas are especially beneficial in the treatment of gout. Eat cherries, blueberries, hawthorn berries, and other dark red-blue berries. It has been shown that eating a half pound of fresh or canned cherries a day lowered uric acid levels and helped prevent recurrences. Certain medications such as aspirin and diuretics retain uric acid and should be avoided. For immediate relief, apply a cold compress on the affected area for 20 minutes, wait 20 minutes, and apply again as needed. Apply an ointment containing comfrey root. Soak a cloth in warm castor oil, place the cloth over the affected joint, wrap the area with plastic, and apply a heat source over it (like a heating pad). Eat 2 cloves of raw garlic a day. For best results, mince the cloves, add to a glass of cherry juice, and drink. Combine 1 cup of water, 1 cup of vinegar, and 1 teaspoon of pepper and boil. After it cools down, dab it on the affected joint. Vinegar and pepper are both safe and natural remedies for gout. Drink 5 ounces of string bean juice daily for gout relief. Image courtesy of the National Library of Medicine (NLM).